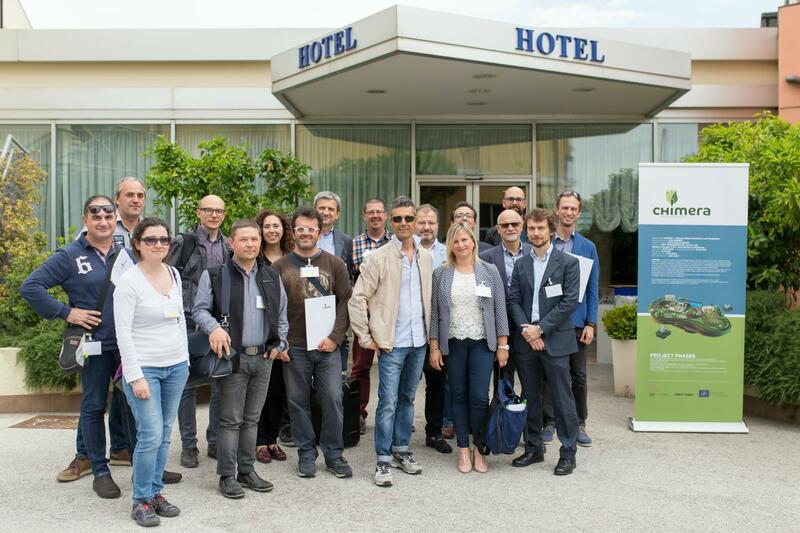 The CHIMERA networking event held on May 17 at Hotel Concorde (Camerano, Ancona) allowed us to present the first project results related to the prototype installed at Fileni’s farm in Osimo and also to show to our participants both plants in Osimo and Castelfidardo. Check the interview to Michele Marcantoni, Rosalino Usci and Mark Renders in the video below. During the morning of Thursday 17th of May, we presented CHIMERA project as a whole and in particular the technical solution, which was of high interest for all participants. We had also the pleasure to host another LIFE project: AMMONIA TRAPPING, also focused on the treatment of chicken manure. If you want to see more pictures of the events and our participants, mainly the owners of the farms involved until now in the project, representatives of the Marche region, agronomists and fertilizers producers, do not hesitate to check our photo gallery. –	The networking session: participants split in two groups depending on their topic of interest, which were: chicken manure treatment or fertilizer and energy production. The discussion and sharing of ideas between participants and the project coordinators allowed us to receive the first feedbacks on the developed solution and gave us hints on how to follow our work. –	The visit to prototypes: participants had the chance to see with their eyes the CHIMERA solution. The plant located at FIleni’s farm in Osimo, was working at full regime and participants had also the chance to visit the control room. The plant at Lorenzetti’s is still under construction and there participants could appreciate the assembling steps and ask questions directly to the engineers who work every day on the plant. The event also captured the attention of the media; you can check our press review at the bottom of this page.